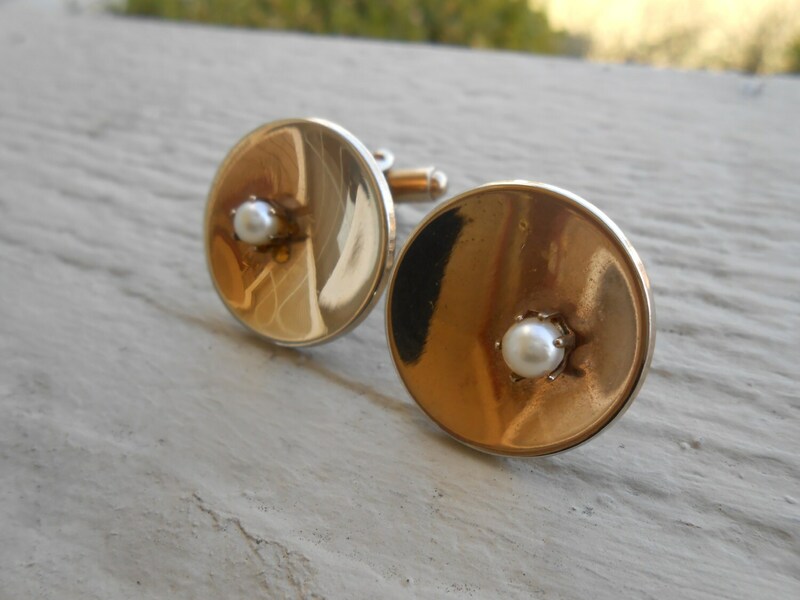 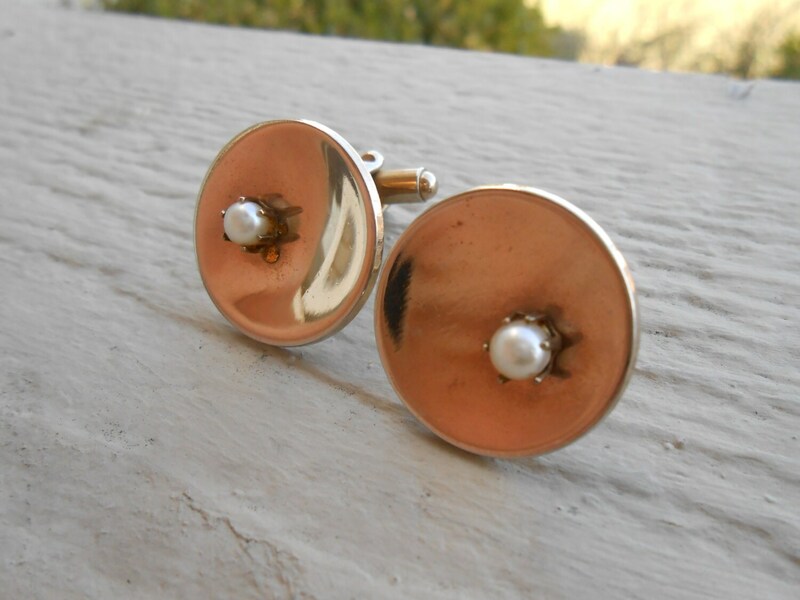 These vintage 1960's cufflinks are perfect for anyone! 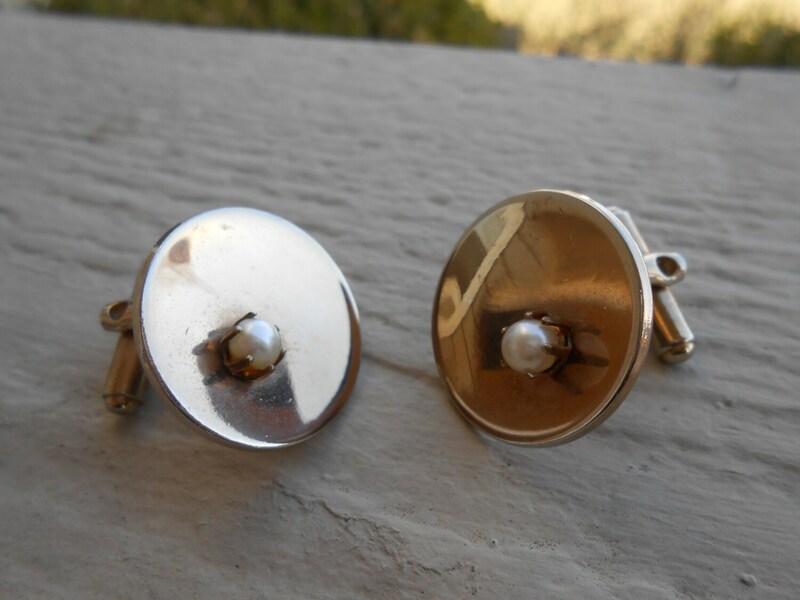 They have a gold tone shadow circle, with a pearl in the middle, held by prongs. 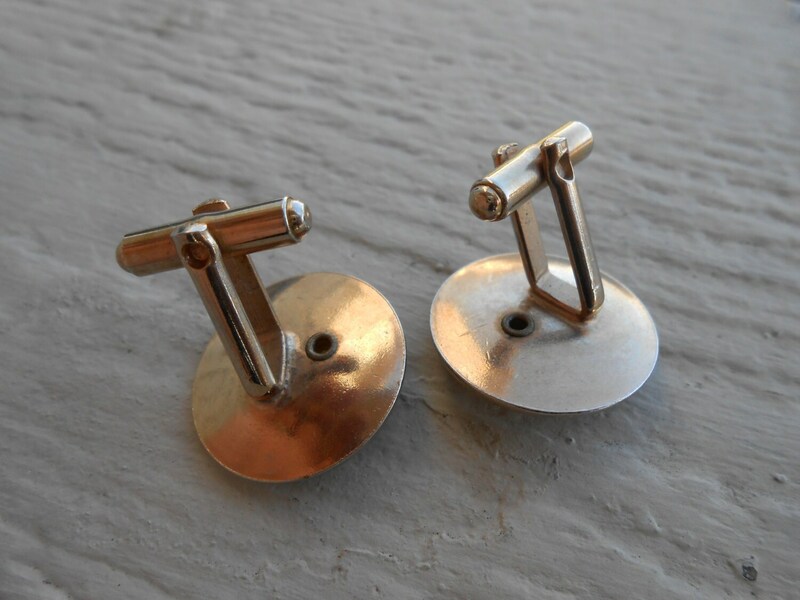 These are super cool and measure 3/4". 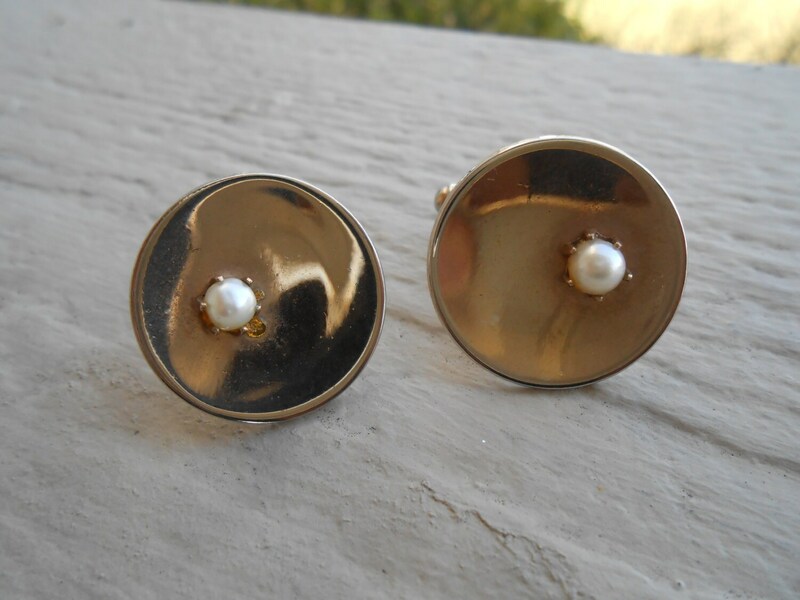 These are in good vintage condition, with just a teeny bit of gentle wear.